Pakistan is an important country in the current international climate, but events there are often met with confusion by many in the west. 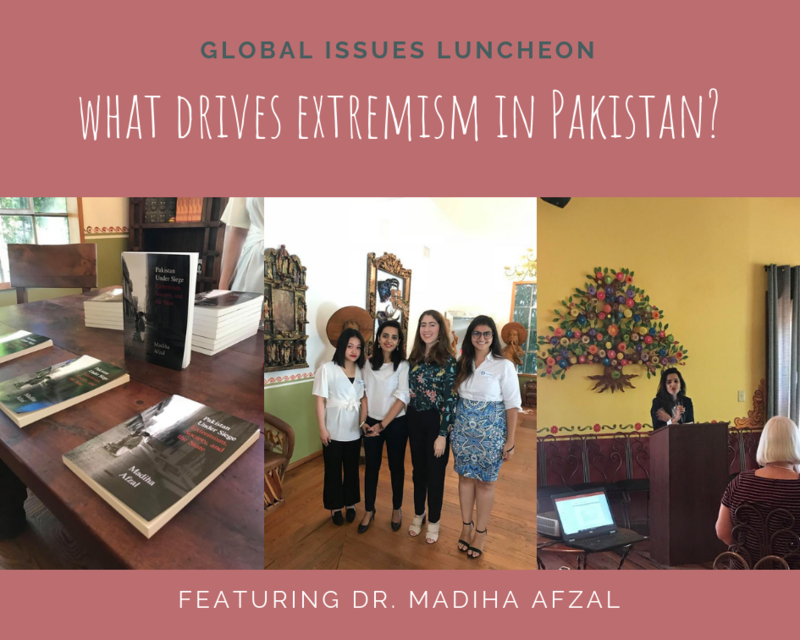 Many joined the World Affairs Council to hear from Dr. Madiha Afzal, Brookings fellow and professor of global policy at Johns Hopkins SAIS, speak on how extremism exists and often flourishes in Pakistan. 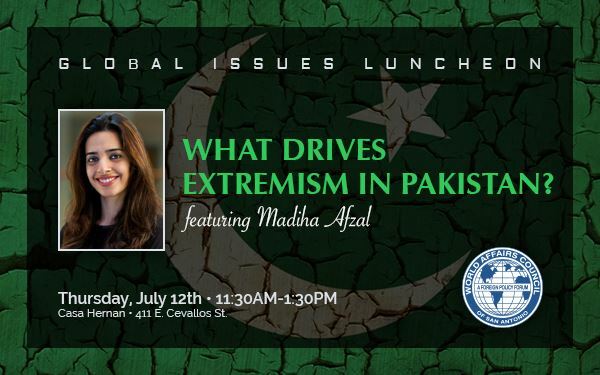 Madiha Afzal is the author of Pakistan Under Siege: Extremism, Society, and the State, which was published by Brookings Press in January 2018, and by Penguin India in South Asia in March 2018. Dr. Afzal is a nonresident fellow at The Brookings Institution, and an adjunct assistant professor of global policy at Johns Hopkins SAIS. She is also a consultant for a number of international development organizations, including the World Bank, on Pakistan. She was previously an assistant professor of public policy at the University of Maryland. Her research lies at the intersection of development, security, and political economy, with a focus on Pakistan. Dr. Afzal has published in the journal Public Choice, and authored a United States Institute of Peace Special Report and several book chapters. She writes regularly for publications including Foreign Policy, The Cairo Review, Newsweek, the Washington Post, Dawn (Pakistan), The Express Tribune (Pakistan), Mint (India), and The Hill. She has been interviewed by BBC, CNN, NPR, PBS Newshour, The Washington Post, and Voice of America. She has also consulted with DFID. She was named to Lo Spazio della Politica's list of Top 100 Global Thinkers of 2013 for her writing on education in Pakistan.